The Big Ben cat tree is a whopping 208 cm tall which makes it one of the largest floor-standing cat trees that we have available today.. 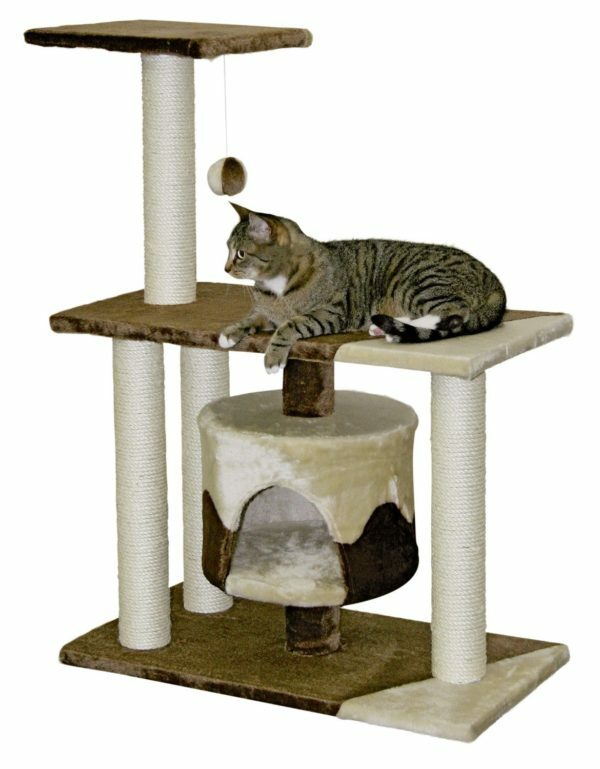 Typically, cat trees of this size would need to be clamped against the ceiling to provide enough stability for it to be strong and sufficiently stable. 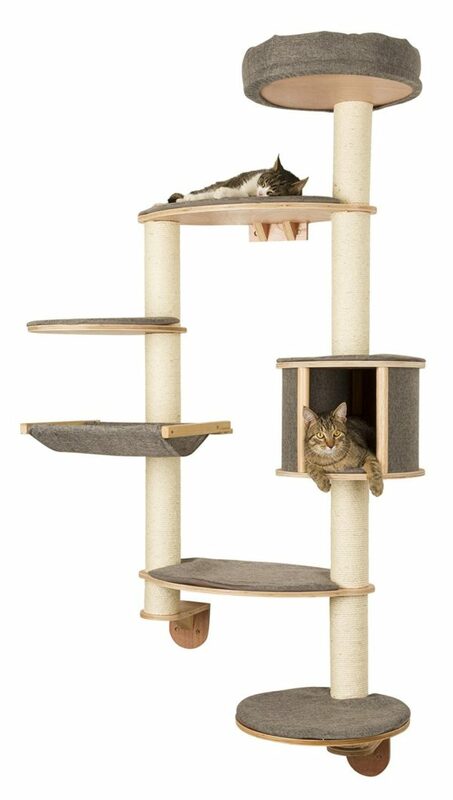 The Big Ben cat tree likes to break all the rules and will be able to happily accommodate multiple large felines all at the same time as they explore, climb, and jump on this massive kitty construction. At 56 kg in weight, this project will be firmly held onto the ground no matter what.. The absolutely stunning styling and detailing makes for an incredibly eye-catching and visually appealing design. The black sisal rope and beautifully plush dark anthracite upholstery, blends perfectly together to create this magical finish. The spacious ground level kitty house comes with a soft removable pillow that can be easily machine washed and provides your feline friend with a private area for them to escape to when required. If however they fancy just having a quiet nap whilst keeping one eye open on their surroundings then the two padded cosy hammocks will be their area of choice. The central platform has been fitted with a chunky rope on the underside which will encourage playtime and make for some fantastic entertainment for owners as well, as they watch their feline friend to go nuts. Turn the TV off, sit back and enjoy! There are 10 sisal scratching columns for your feline friend to choose from which ensures that they will never be far away from having a good old-fashioned scratching session..